The Vampire Facelift comes to Tampa and St Pete - Doctor Hermann M.D.,P.A. You may have been hearing about a procedure called the “vampire” lift or facial for skin rejuvenation. It is popular among Hollywood Celebrities to aid them in maintaining a more vibrant healthier complexion. This is a non-surgical procedure in which we use your own blood’s healing powers to stimulate collagen growth. First we perform a blood draw, then we extract your platelets from the test tube. The platelets create a serum called Platelet Rich Plasma or PRP. The serum is not red but clear, so, in fact, the word “Vampire” is misleading. PRP contains high levels of growth factors that stimulate collagen production. When PRP is applied to the face via microneedling or injection, it promotes cell repair and promotes a more youthful appearance. PRP (Platelet Rich Plasma) has been used to promote healing of joints, hair growth, and now, in Tampa and St. Pete, Hermann Wellness offers PRP for facial rejuvenation. PRPand micro needling can be used as an individual treatment or together for better results. PRP works by activating your own stem cells via growth factors beneath the skin to encourage new tissue growth leading to healthier skin by treating wrinkles and scars. Micro needling causes multiple microscopic channels to activate the body to repair itself by depositing collagen and elastin while increasing blood flow to the area restoring a more youthful appearance by treating fine lines, pores, mild scars and stretch marks. These treatments are easily administered to all skin types and colors with no clinical downtime. When PRP and micro needling are combined together they provide a corrective and preventative procedure to treat fine lines and wrinkles, manage scars from acne or other injuries, improve skin texture and tone, minimize the appearance of stretch marks and stimulate new collagen growth. Micro needling procedures with or without PRP are performed in a safe, precise manner with the use of a sterile needle head. The procedure is normally completed within 30-60 minutes depending on the treatment and anatomical site. Prior to treatment, we apply a topical anesthetic to the skin to ensure a comfortable experience. After the skin is numbed, the provider will prep the skin and gently move the micro needling device over the your skin to create micro channels. These microscopic channels will stimulate new collagen and elastin deposition and, if combined with PRP, will lead to new tissue growth and stimulate growth factors that lead to a more robust stimulation of collagen and elastin. Generally, mild visible results are seen within 6 to 8 weeks following treatment and continue to improve over time. It is recommended to do 4 to 6 treatments to obtain maximum benefit. After the procedure, your skin may be flushed similar to a sunburn. This will diminish greatly after a few hours following treatment and, within the next 24 hours, the skin will be completely healed. After 3 days, there is barely any evidence that the procedure has taken place. 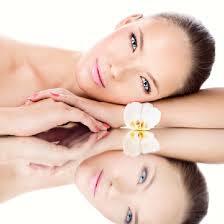 PRP and micro needling can be done alone or in conjunction with other cosmetic services. To learn more about PRP or other cosmetic services see Robin McClain ARNP cosmetic specialist at Hermann Wellness. To make a appointment at either of our conveniently located offices call Tampa at (813) 902-9559 or St. Petersburg at (727) 278-3992.